It has been a season of returns for me, the cobwebby memories of my first travel experiences brought back to life by the crazy travel schedule of my Autumn. In Quito, I fell in love with the chaos and colour all over again. In Montevideo, the contrast of my memories from living there in 2003 versus the crumbling concrete and graffiti left me reeling. Now I am in Paris, a place I first visited in 1993 with my mother and returned to alone in 2001, during a yearlong Masters degree in Aix-en-Provence. Falguiere street in the afternoon sun. As human beings, we connect to places differently. To me, Paris is a serious city, the undeniable gravitas of its tumultuous history overshadowing anything else. That’s not to say Paris brings me down – to the contrary, Paris lifts me up, tenderly brushes the dust off my palms and says “it’s really not all that bad, now is it?” Faced the whispers of seven disparate and often unsteady ages, any of my worries dissipate into the cobblestone and wrought iron gates of the city. Despite the weight of its past, or perhaps because of it, Paris makes me feel more alive. 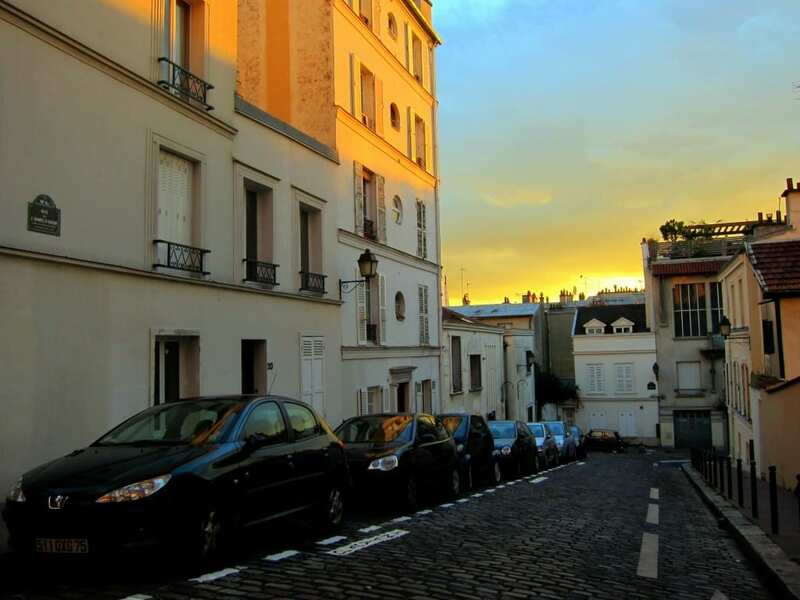 And what better way to begin a renaissance than on the streets of Montmartre? 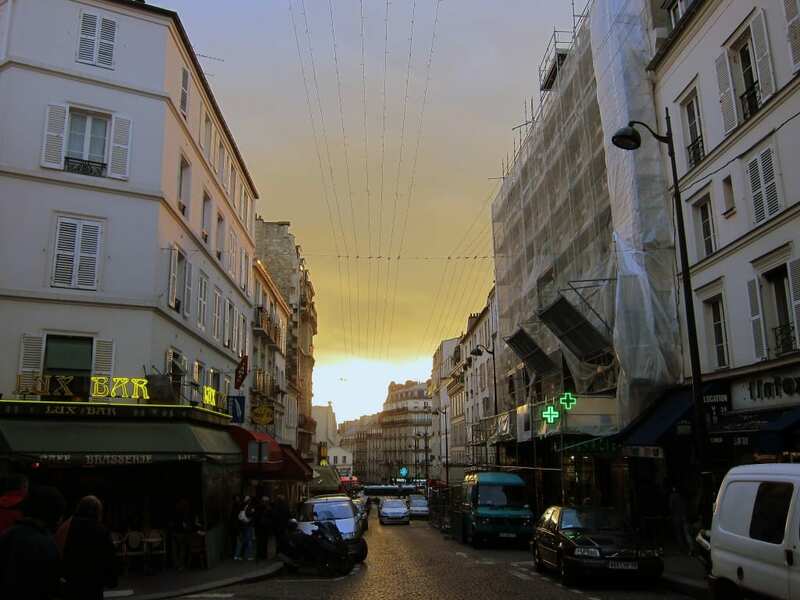 Joined by Gray from Solo Friendly and Marlys from Paris Buff, I shook off the stale remnants of jetlag and meandered through the twisted streets of the 18th arrondissement as a soft afternoon light encased everything in a shimmering gold glow. Montmartre, steeped in history, immortalized in art and rising over Paris from the North, is one of the more beautiful districts of city. 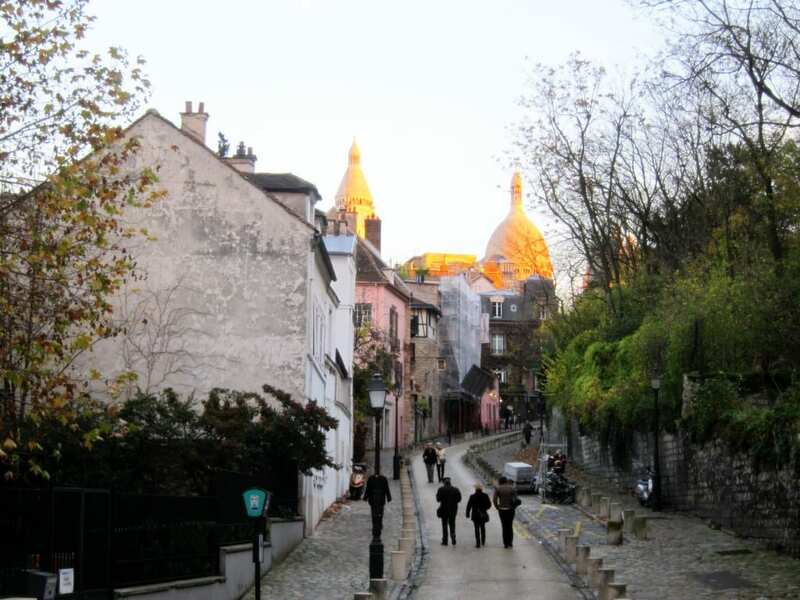 With the steep stairs of Rue Foyatier tumbling down to the district below and Sacré Cœur standing guard over the 18th arrondissement, stoic and ashen, it remains one of my favourite places to wander when in Paris. The original “hill of the martyr”, an homage to Saint Denis who was decapitated atop it around 250 AD, was used during 1590’s Siege of Paris as a launching pad for Henry IV’s artillery. However, the sordid, bohemian Montmartre of impoverished artists and musicians only took root in the early 19th century, when Napoleon III enlisted Haussmann to turn Paris into an unrivaled splendour. Evicted from their homes (the land was ‘donated’ to Haussman’s supporters), swaths of Parisians were relegated outside city limits – to La Villette, to Clichy (now a big shopping area) and to Montmartre. 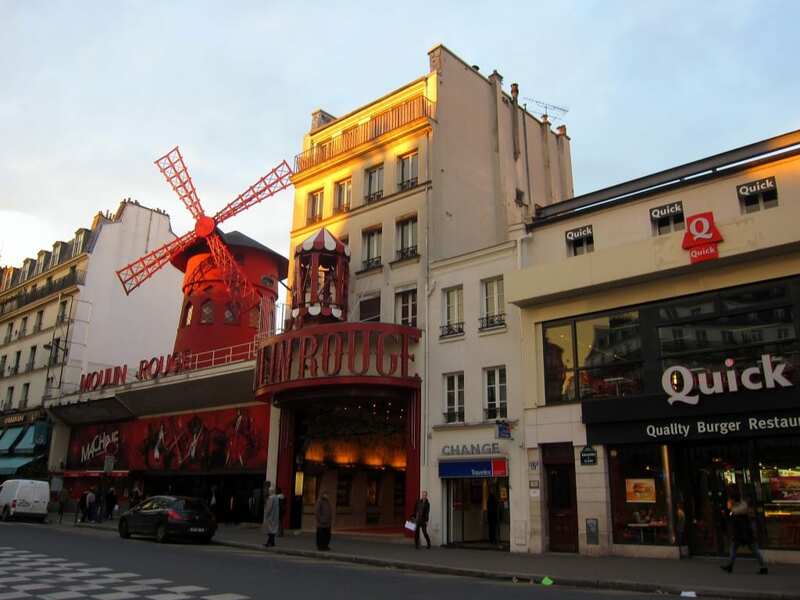 The famous Moulin Rouge, in Montmartre. 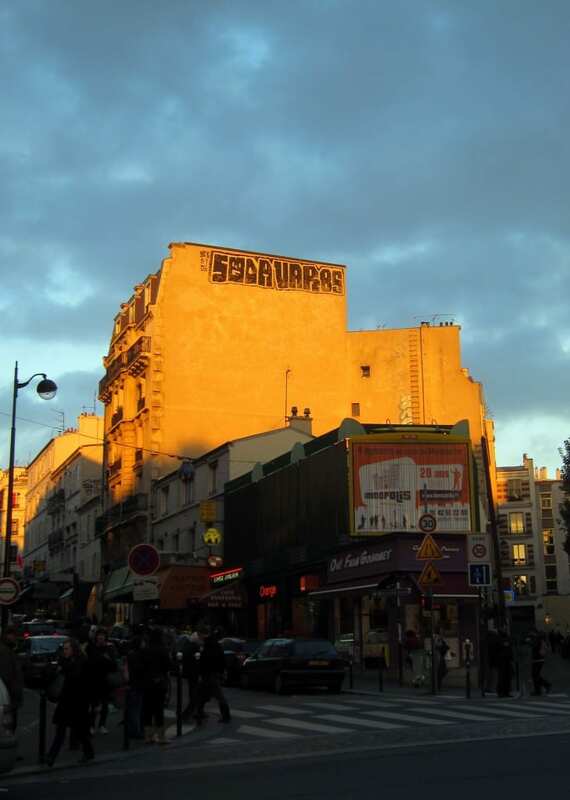 I liked the contrast of the graffiti against the sky next to the Moulin Rouge. Walking up along Rue Junot toward Sacre Coeur. Following Junot to the top of Butte Montmartre. Blissfully free of Paris’ laws (and taxes), the area began its ‘descent toward depravity’, with iconic cabarets like Le Chat Noir and Moulin Rouge ruling the day. Artists like with Pissarro, Picasso and Modigliani soon set up residence in the district. Others lived elsewhere but kept their studios on the Butte – van Gogh, Matissee, Renoir, Degas, Ultrillo and and the area’s visual ambassador in my mind, Henri de Toulouse-Lautrec. 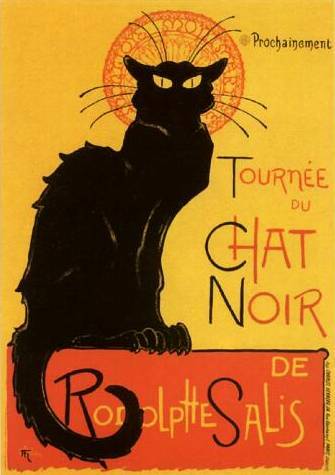 Poster for “Tournée du Chat Noir”, by Théophile Steinlen. Same vantage point on Junot, different angle. My favourite of all the photos. Pale Sacré Cœur was built by public contribution in the early 20th century, an act of contrition after the events of the Paris Commune in the late 1800s and a memorial to those who perished during the Franco-Prussian War. 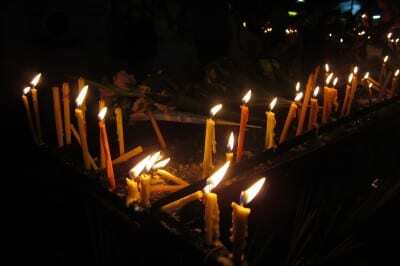 The original decree from the Assemblée Nationale chose the site in part as a symbol of hope after the events of Paris Commune, and in part to “expiate” the sins of France after its infighting and deaths in the 1870s. Designed by Paul Abadie (already renowned for his restoration of the St-Front Cathedral in Périgueux), the architect died in 1884 before the Basilica was completed. It was finished in 1914. Sacre Coeur lit up by the afternoon sun in Paris. Sunset over Montmartre with the Eiffel tower in the distance. Montmartre remains a fascinating place. Movies like Baz Luhrmann’s Moulin Rouge and Jean-Pierre Jeunet’s Amélie have gone a long way in keeping the district fresh for a whole new generation. But for me, entranced by what those worn cobblestones must have seen over the years, the weight of thousands of sleepless (and many of them alcohol-fueled) nights, merely going to Montmartre suffices. All you have to do is close your eyes, think of a time gone by, and imagine a city outside a city, the birthplace of a generation of artists that would remain imprinted on Fance’s cultural landscape for centuries to come. 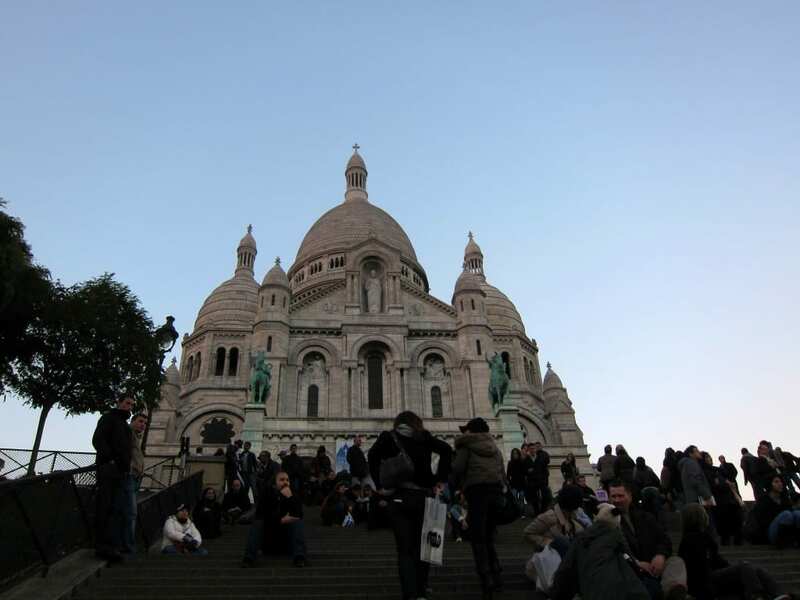 A great end to the afternoon – Sacre Coeur from below. The 3 musketeers for 1 afternoon: Marlys, Gray and me. 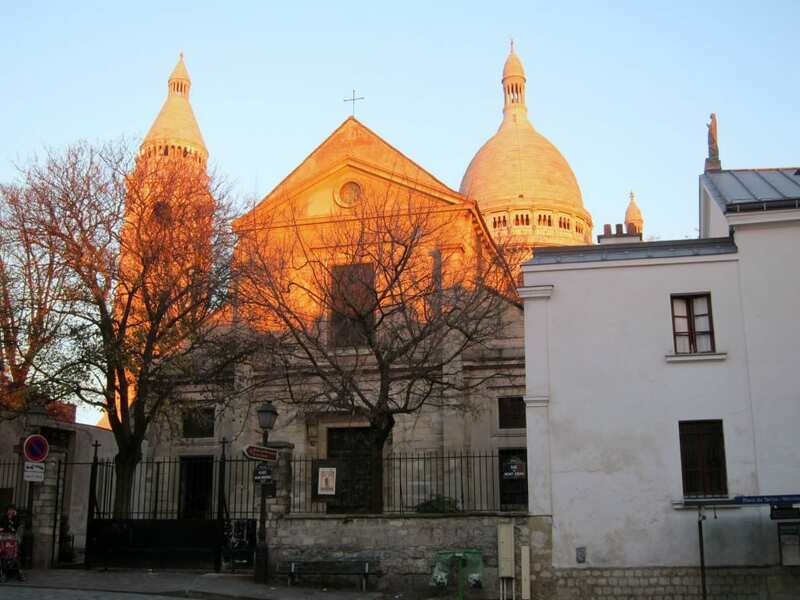 For a thorough walking tour of Montmartre, see Matt Barrett’s Paris Guide on the area. Currently in Rome, but next up will be a few more pictures of Paris and then a tapas-tastic tour of La Latina in Madrid. Great post Jodi, some of those photos are absolutely amazing! I love how contrasting Montmartre is, especially around Pigalle with all the strip joints and bars. Thanks Justin! 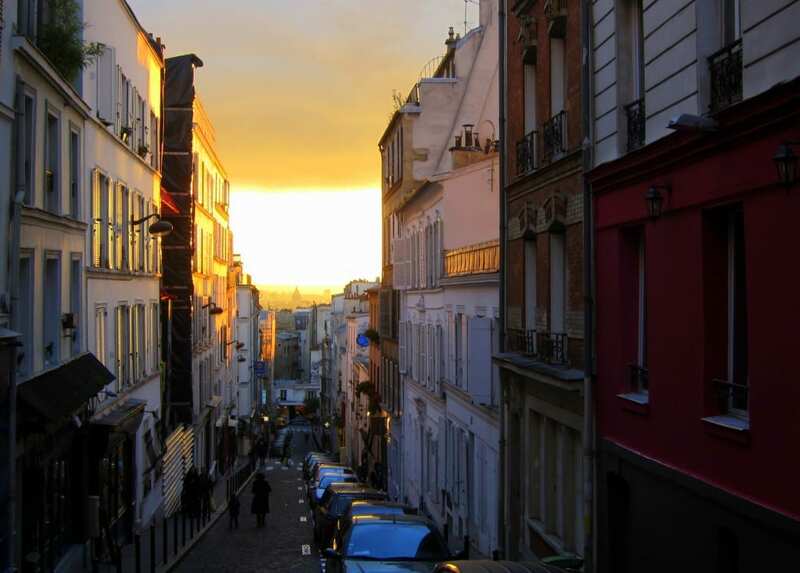 I completely agree – walking out of Pigalle or Abbesse and then winding upward to Sacre Coeur is quite the change of scenery, shedding those layers until you get to the top. It was a short but fulfilling afternoon. dig how you’ve incorporated the modern parisian aesthetic with information about its romantic, artistic history. i’ve never explored this part of paris before, but as you said, movies like amelie, and your wintry-feel photographs, have definitely made me want to! 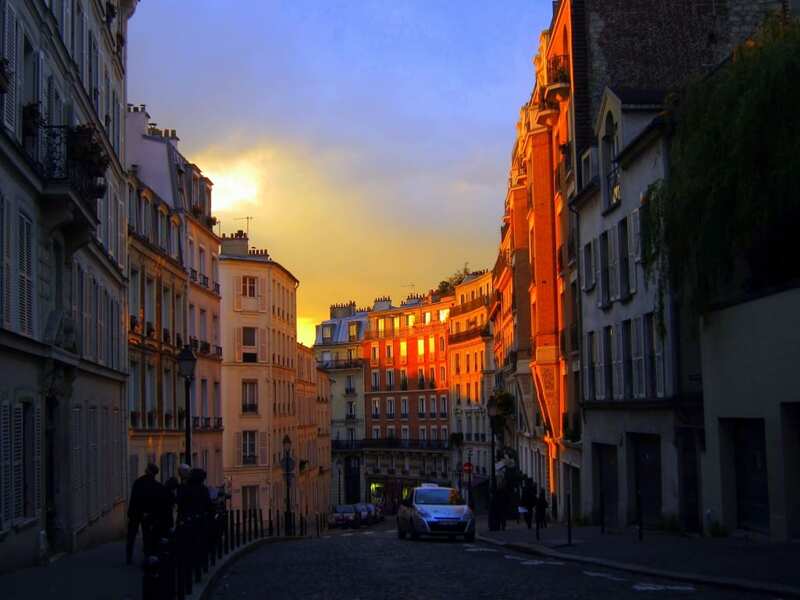 gorgeous gorgeous photos – Montmartre isn’t always my favorite but these shots are spectacular. Great photos! 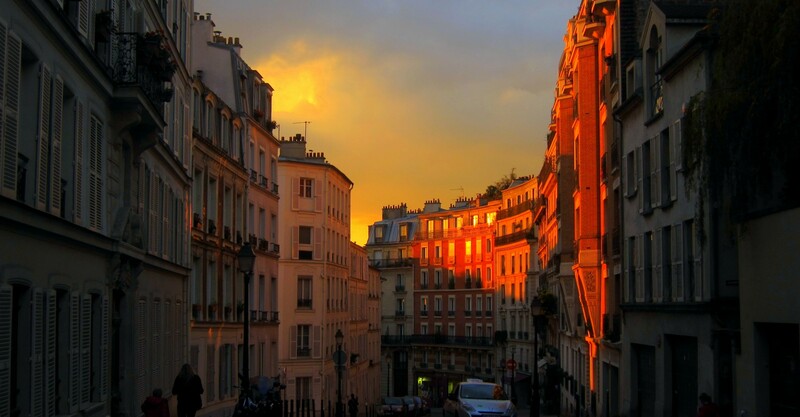 Makes me want to go back to Montmartre and shows the real power of great light. 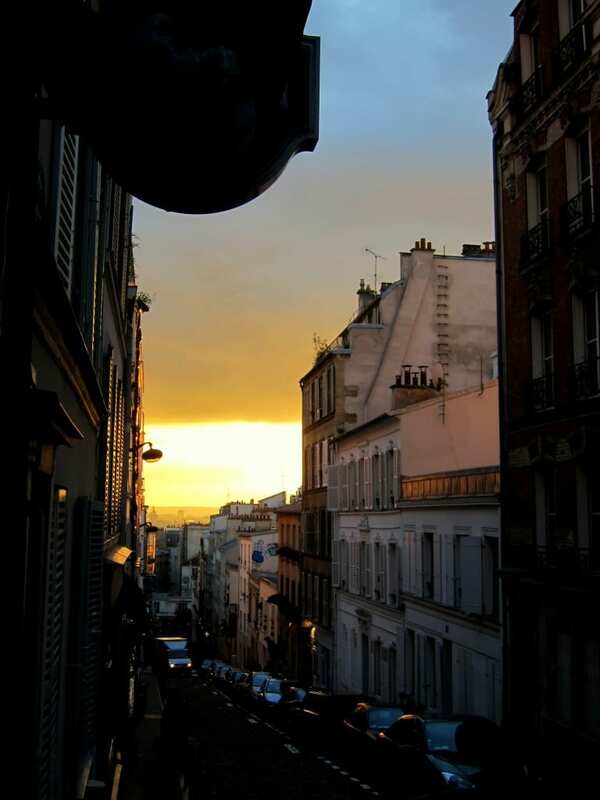 I stayed in Montmarte when I was in Paris, a truly amazing neighborhood. I couldn’t get it out of my head that some of the bathrooms around here were older than my country (that would be Canada). The history of this place is dripping from every brick and rooftop. Great pics. Ah, not only do I love your photos, but the history you provide of the area. And I can read your love for Paris between the lines here. That was one of my favorite days in Paris–I enjoyed the company, the liveliness and bohemian vibe of the area, and the sunshine that was oh-so-rare during my week in Paris. Beautiful photos, you really captured nice light here. 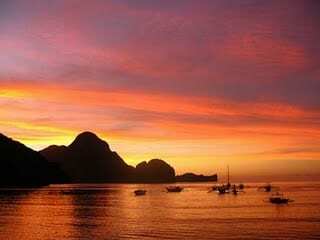 Lovely- love the sunset photos! God I miss Paris! 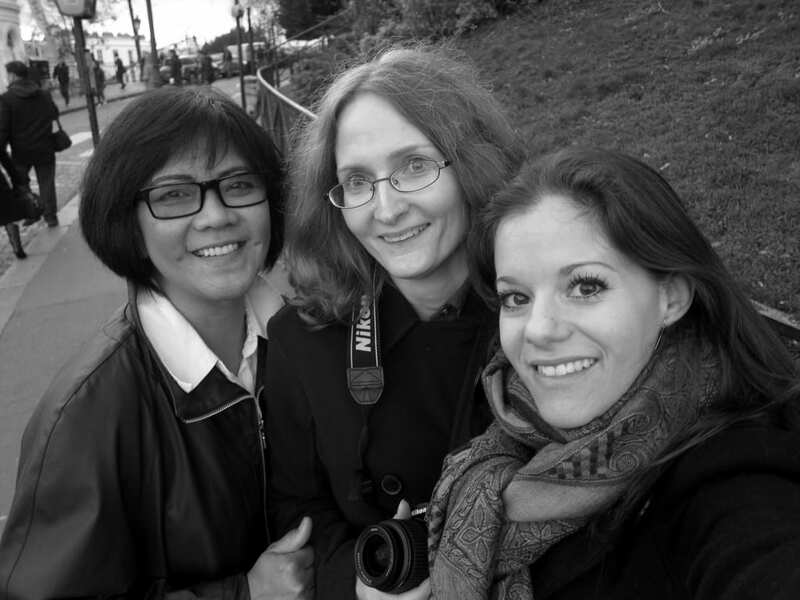 What a lovely walk through Montmartre – thanks for taking us with you through the narrative and photos. 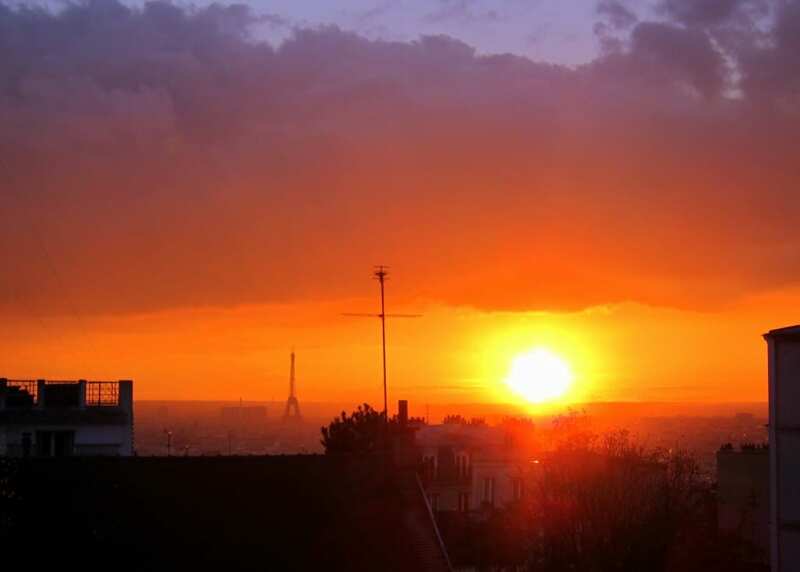 The sunset with l’Eiffel in the distance….c’est formidable. That’s a fascinating tour. Dim memories of tooling round those streets on a school exchange trip…. I love Montemartre! I’ve stayed there many times while in Paris and it’s one of my favorite neighborhoods. Beautiful photos too. I just love the pics. I am soon to visit Paris. It will be my first time. Any advice for a rookie? Especially for photo ops?<—- I'm sure that's a stupid question. Thanks for all the comments and compliments. With light like that, I had a hard time choosing what photos to use. Gray and Marlys can attest to how pretty it was in person. 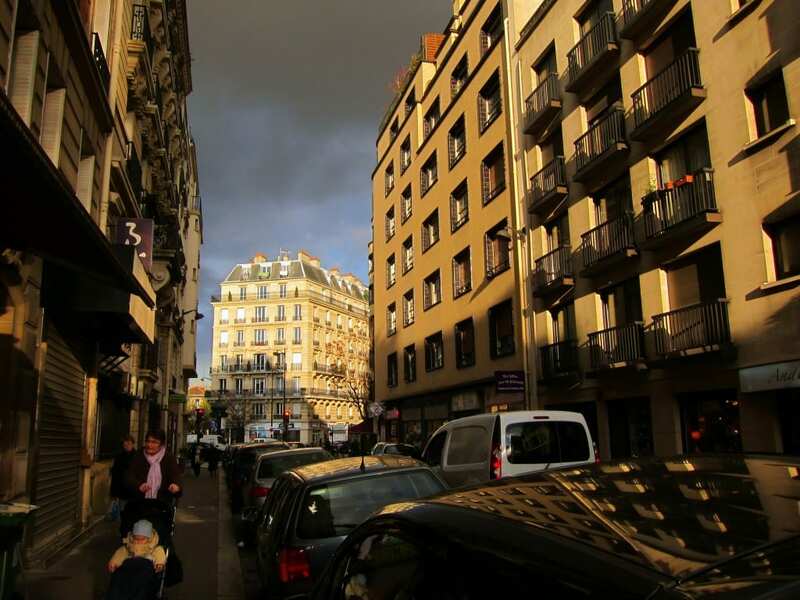 @Jenna – It’s a very different feel from le Marais or Montparnasse but it’s a fun walk, with plenty to look at. Just wear comfortable shoes! @Mike – In theory, yes…but in practice I had 9am meetings and was jetlagged. Next time! @Kent – I’d really just keep your eyes open for whatever piques your interest. There are fun photos in the contrast between old and new, and of course the beautiful buildings lit up at night. I’ll be doing another few posts on Paris, one of which is just the nighttime photos of the buildings and towers alight. @Rachel – Sorry to hear you broke your camera, but I’m happy my photos helped bring those memories back to the surface. Thanks Andi! Glad you’re enjoying your long weekend on the beach & thanks for reading. I lived in Cannes in 2000 and in that year visited Paris half a dozen times. That said, it’s embarrassing to say I have not explored this area of the city. Paris has been crossed off my list for years, as there are many places I haven’t been, but you have made me reconsider a visit. I was interested in different things 10 years ago, and your images and (beautiful) descriptions make me realize that I have yet to really linger in Paris (as I did recently in Granada) and appreciate the details and the history I overlooked in college. Your post evokes a longing for an era that I did love studying about – a time of artists collaborating, writing, smoking, playing, thinking… I’d love to return to Paris and feel inspired simply by strolling these streets. Hi Cheri, I’m really glad to hear the photos managed to convey what I wanted, that sense of drifting through an area where the past is unmistakably juxtaposed on the present. I’m sure you’d also enjoy wandering through the area – looking forward to your pictures when you do. AC: this is absolutely correct. I have it on my iPod, but had left it at home. 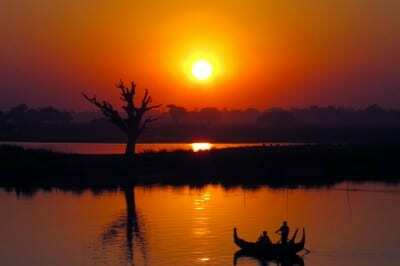 Reminds me of a photo from Siem Reap where I watched the sunset to the sounds of Galasso’s Angkor Wat I theme: https://www.legalnomads.com/wp-content/uploads/2010/11/IMG_3437.jpg.